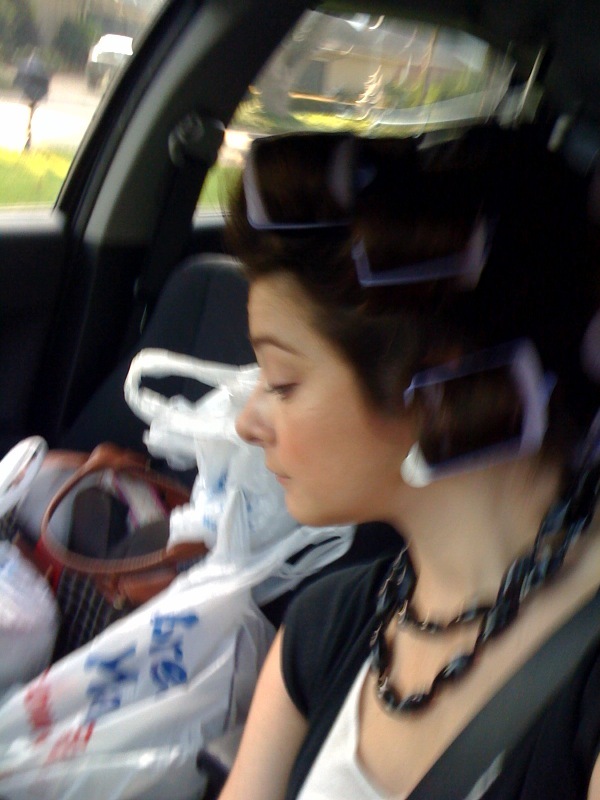 This is a picture of me with rollers in my hair on my way to work with like ten bags including make-up, comfortable shoes, lunch, etc. I haven't gotten so much like her that I put on my makeup while driving, but I guess that'll start when I'm 40. Uniform Project Picture Book from The Uniform Project on Vimeo. You Can Have a Great Day Too! Hard to believe most this dancing could happen in just one month. I've bunny hopped through Spring...literally. A few years ago, I shuttered at the question, "What do you like to do for fun?" Because I found it really hard to answer. I yearned for a passionate answer lengthy with exciting, unusual sidelines. Today, I am still not sure that I am ready to proudly and sufficiently answer that question, but for now, I don't mind answering with, "I like to dance until at least 4am." Today, Tulane's Class of 2010 graduated, a class that decided to attend Tulane University directly after Katrina. I cannot imagine the uncertainty that they faced moving to New Orleans four years ago. I respect these graduates for their decision, and know the city is a better place because of it. "The things that seem like heartbreaking setbacks sometimes turn out to be lucky breaks." and if that's too heavy here's Ellen DeGeneres' from last year. We have a lot in common.